Edison International supports LA 2024 to make bid for Olympics and Paralympics an innovative, energy efficient and environmentally friendly Games. Los Angeles has what it takes to deliver a new games for a new era — the innovation, infrastructure and the relationships to make the 2024 Olympic and Paralympic Games a clean and sustainable major event with worldwide visibility. That’s because LA 2024 is working with Edison International and local utilities on their bid to bring the games back to Southern California. The last time Los Angeles hosted the games was in 1984. “With no permanent construction required to host the Games and working with experienced utility leaders at Edison International and the Los Angeles Department of Water and Power, environmental protection and conservation will be at the forefront of our planning and our culture as we invite the world to ‘Follow the Sun’ to a New Games for a New Era,” said LA 2024 Chairman Casey Wasserman. The International Olympic Committee (IOC) has made sustainability one of its major goals in its strategic roadmap for the future. Edison International and local utilities such as the Los Angeles Department of Water and Power will help make this a reality by providing clean, sustainable and reliable power for the 2024 Games. 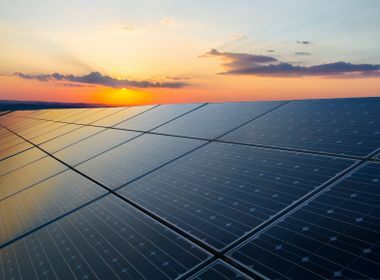 Edison International and its utility, Southern California Edison, have been investing in building the grid of the future where technologies will help expand choices for customers when it comes to renewable and distributed energy choices. This includes solar for both residential customers and at the commercial level. 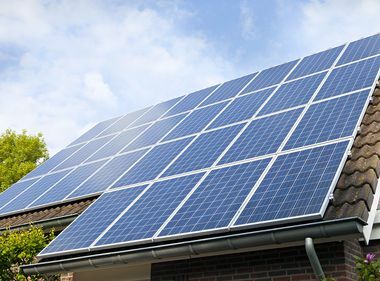 Each month, SCE is adding about 5,000 new solar customers and last year, nearly one-quarter of the energy delivered to its customers was from renewable energy. SCE is also working to expand electric vehicle charging capabilities throughout the Southland. Through its subsidiary, Edison Energy, Edison International also serves the needs of some of the largest commercial and industrial energy users, including multi-state corporations, manufacturers and government facilities. 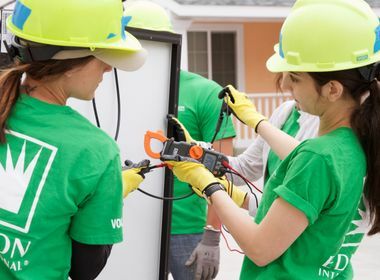 With a workforce of more than 12,500 employees, Edison International has a committed and active network of employee and retiree volunteers who are vitally connected to the communities in which they live and work. The company will look to engage this network of active employees and retirees, as well as community and business leaders, to support the 2024 Olympic and Paralympic Games, as it did during the Los Angeles 1984 Olympic Games. For more information, visit LA24.org and Edison.com. Edison Energy Group and its subsidiaries are not the same company as Southern California Edison, the utility, and they are not regulated by the California Public Utilities Commission.